Local households that earned $54,000 or less in 2016 can receive free tax help in person through the Volunteer Income Tax Assistance effort led by United Way California Capital Region in Sacramento and Placer counties. 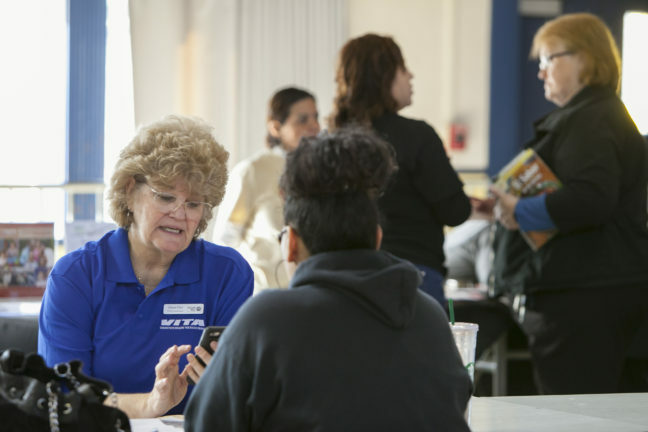 The program will kick off with a Super Saturday event from 9 a.m.-3 p.m. on Jan. 28 at Grant Union High School in Sacramento, where IRS-certified volunteers will provide free basic tax return preparation with electronic filing. Volunteers will inform taxpayers about special tax credits for which they may qualify, such as the federal and state Earned Income Tax Credits (EITC and Cal EITC), Child Tax Credit, and Credit for the Elderly or the Disabled. For information and a list of Super Saturday events and weekday tax help sites, visit www.yourlocalunitedway.org/VITA or call (916) 498-1000. Sacramento residents can call 2-1-1. VITA is a national IRS program that offers free help to people who make a limited income and need help preparing their tax returns. Local households that made $64,000 or less in 2016 can qualify to file their state and federal taxes online for free at MyFreeTaxes.com, sponsored by United Way Worldwide. The site provides local residents with free, easy tax help they can trust so they can maximize refunds and credits. The site helps people save an average of $200 in tax preparer fees, guiding users through federal and state filing with software powered by H&R Block. Users need a valid email address and income forms. The nine-year-old program is available in all 50 states. Both the in-person and online filing opportunities are designed to help households receive the maximum credit of $6,000 through EITC and Cal EITC. This is the second year that California is offering a state Earned Income Tax Credit to benefit California’s working families. Many Cal EITC-eligible households are not legally required to file taxes due to low income, however if they do file, they can claim state and federal EITC credits for which they are eligible. Those who file for EITC, Cal EITC or the Child Tax Credit should plan for their refund to be delayed, as a law requires the IRS to hold those refunds until Feb. 15. Sponsors of United Way’s tax help programs include the U.S. Internal Revenue Service, SAFE Credit Union, SMUD, United Way California Capital Region and Wells Fargo. For a list of partners, visit www.yourlocalunitedway.org/VITA. United Way California Capital Region is leading these tax help programs to ensure more households are financially healthy. This work is part of United Way’s Square One Project, a 20-year promise to significantly increase the number of local students who graduate from high school ready for success in college and beyond. Through nine decades of work and research across Amador, El Dorado, Sacramento, Placer and Yolo counties, the local United Way now believes ending poverty starts in school and is working to ensure kids meet important milestones for success in college. Household financial well-being is a key factor in student success. To donate or volunteer, visit www.yourlocalunitedway.org. Local households that earned $54,000 or less in 2015 can receive free tax help in person through the Sacramento Coalition for Working Families, the local Volunteer Income Tax Assistance effort led by United Way. The program will kick off with a Super Saturday event from 9 a.m.-3 p.m. on Jan. 30 at Grant Union High School, where IRS-certified volunteers will provide free basic tax return preparation with electronic filing. Volunteers will inform taxpayers about special tax credits for which they may qualify, such as the federal and state Earned Income Tax Credits, Child Tax Credit, and Credit for the Elderly or the Disabled. For more information, a list of other Super Saturday events and weekday tax help sites in Sacramento County, visit yourlocalunitedway.org/VITA, or call (916) 498-1000 or 2-1-1. VITA is a national IRS program and offers free help to people who make a limited income and need help preparing their tax returns. Local households that made $62,000 or less in 2015 can qualify to file their state and federal taxes online for free at MyFreeTaxes.com, thanks to a a national partnership between United Way, Goodwill Industries and the National Disability Institute. MyFreeTaxes.com helps people save an average of $200 in tax preparer fees. The website guides users through federal and state filing using software powered by H&R Block. Users need a valid email address and income forms. The eight-year-old program is available in all 50 states. “We want to make sure as many households as possible in the Sacramento area are financially stable, and that starts with not spending unnecessary money on tax preparation and making sure they receive the maximum refund to which they are entitled,” said Stephanie Bray, United Way California Capital Region president and CEO. Both the in-person and online filing opportunities are designed to help households receive the maximum Earned Income Tax Credits of $6,000, now available federally and through the state. This is the first year that California is offering a state Earned Income Tax Credit to benefit California’s working families, increase use of the federal credit and increase availability of free tax preparation services. United Way California Capital Region is leading the Sacramento Coalition for Working Families as part of its work to ensure more households in the capital region are financially stable and self-sufficient. Partners include California State Board of Equalization, City of Sacramento, Community Housing Opportunities Corporation, Folsom Cordova Community Partnership, Goodwill Industries of Sacramento Valley & Northern Nevada, Sacramento County Department of Human Assistance, SEIU Local 1000, SAFE Credit Union, Sacramento Food Bank & Family Services, Grant Union High School, Hiram Johnson High School and the State of California Franchise Tax Board. Sponsors include Citi Community Development, First Northern Bank, Internal Revenue Service, SMUD, United Way California Capital Region and Wells Fargo.